“Multiple emergency vehicles in route. The City will continue to monitor the situation and advise you if you need to take action,” the post read. Sean Burnett, a spokesman for the non-profit HCA Healthcare, confirmed that at least seven injured were treated for non-critical injuries at its two hospitals. One of them has already been released, reported Houston Public Media. Initial reports stated that one person was missing but later on the company said approximately 250 workers at the site were accounted for. The Pasadena Fire Marshal said the fire is no longer active and there is no shelter in place. “The company is fully cooperating with all local authorities and emergency response teams and will provide additional information as it becomes available and is confirmed,” the company said in a statement. Corporate Emergency Manager Jeff Suggs told Chron, “There was never any release into the community or atmosphere, and we've done all the air monitoring,"
“Our team is committed to determining the cause of the incident," he added. Kuraray is a Tokyo-based specialty chemical maker that has its U.S. headquarters in Houston. It manufactures chemicals, fiber and resin. The facility in Pasadena, opened in 1986, is now the world's largest ethylene vinyl alcohol plant which is capable of producing 47,000 tons annually. The company opened its third local facility in the Bayport area. According to Chron, no past violations at the site were recorded by Occupational Safety and Health Administration and Chemical Safety Board. 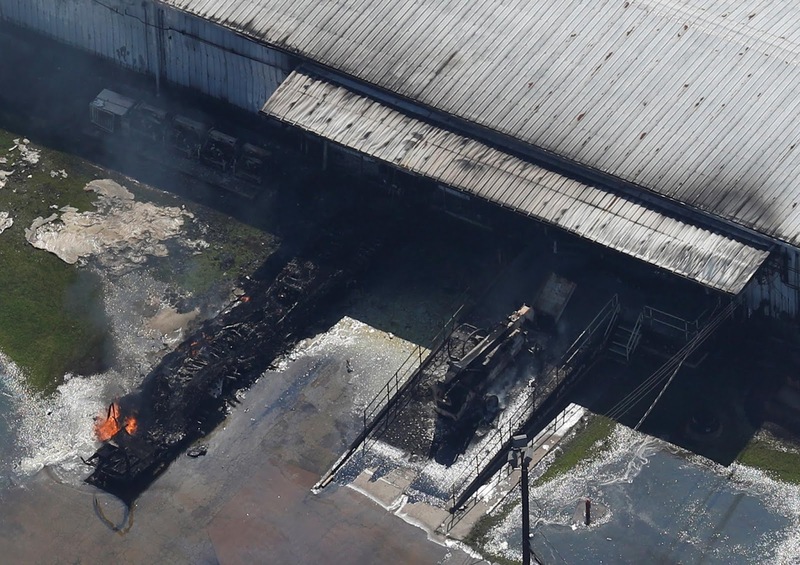 The chemical plant will remain closed for a few days until the damage is assessed.